Everything is better when it’s brighter, more vibrant and colors are deeper and richer. The same holds true for mulch and fresh mulch can actually brighten up your landscaping. Fresh mulch can beautify your landscaping by making your yard look cleaner and better kept, adding color, as well as creating borders and boundaries and keeping weeds at bay. The vibrancy of mulch can fade over time, but the color of mulch is beautifully rich and deep when it is fresh. As time progresses, the elements and pesky creatures can displace and thin your mulch. Fresh mulch, however, can be strategically placed so that it is full and it shields your garden from weeds. 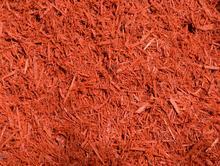 Then, of course, mulch comes in various textures and colors, offering even more variety for your brightening project. There are brown mulches, red mulches and black mulches. Mulch can be made from sustainable, organic material as well as recycled materials that tend to be more durable. Mulch is very versatile. You can use mulch to create pops of color in your yard and take your landscaping up a notch. Mulch can help to better define gardens and edging, as well as help you develop boundaries in certain areas. So go ahead and brighten your world with mulch and a host of other quality landscaping products from Edgewater Yard Shop.